COACH - C'mon faster, faster! You're training at snail's pace! 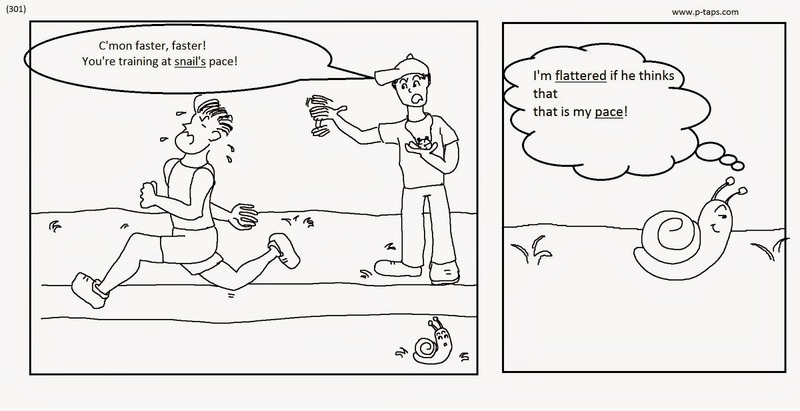 WARP - I'm flattered if he thinks that that is my pace!